The Roemheld stand (H6-175) at MACH 2018 will be split into sectors to show market-driven examples of how workholding can increase competitiveness and maximise investment in machine tools. There will be areas focusing on automotive, aerospace, medical and general manufacturing plus a dedicated material handling section. The emphasis will be on increasing production efficiency through proven technology and innovation, ensuring that any investment is spent wisely. 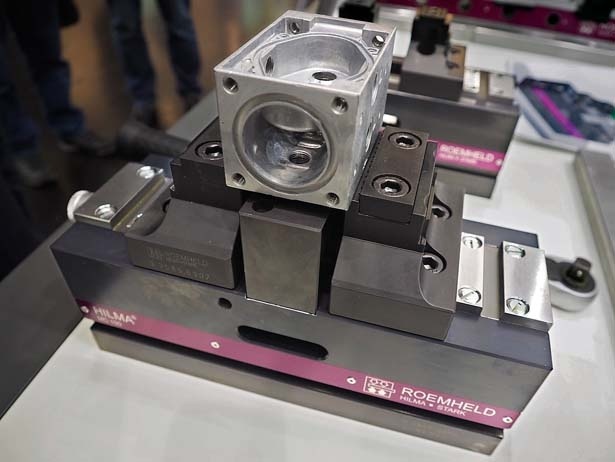 Roemheld will also be offering to supply demonstration products so the user can benefit from the established ‘Try before you Buy’ offer, which guarantees that any investment in workholding will meet a manufacturer's needs, both now and in the future. Roemheld will show for the first time in the UK a new workholding product intended for securing parts during 5-axis machining. The MC-P vice from group member Hilma is able to grip on just 3 mm, reducing raw material costs. It offers high stability and precision combined with excellent accessibility and comprehensive chip protection. The compact design enables collision-free tool paths and the use of short, standard tools for 5-axis machining. The vice has the precision and stability to enable first and second operations to be completed a single clamping. Offering centring, clamping or balancing functionality, it is suitable for a wide range of applications including securing long components and housings made from cast materials. Mechanical and hydraulic versions are available and jaw widths range from 40 to 125 mm, with maximum clamping forces of 8 kN to 35 kN. Likewise making its UK debut will be Roemheld's new Centrick manipulator, whose articulated arms allow workpieces of any shape weighing up to 2 tonnes to be continuously rotated and tilted by up to 90 degrees. This latest addition to the Modulog range of assembly and handling products is ergonomic, space saving and efficient. Unlike conventional tilting and turning fixtures, it moves components close to their centre of gravity, so the working height remains more constant. A small swivel radius and holding brakes ensure stable positioning. The Centrick from Roemheld is quiet in operation, with low power consumption. 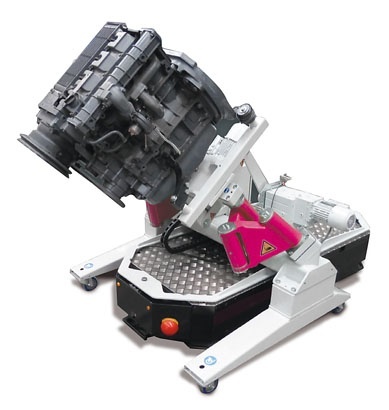 It can dramatically reduce times for assembly and handling as well as increase safety and reduce expensive downtime. Integration into assembly lines is straightforward and the manipulator is compatible with Industry 4.0 assembly processes. On display also at the exhibition will be Roemheld’s new Vice Tower workholding equipment as well as the manufacturer's Zero Point clamping systems, offering rapid and repeatable changeovers while making the most of existing workholding investment. Visitors will additionally be able to see examples of the latest hydraulic power units and elements.